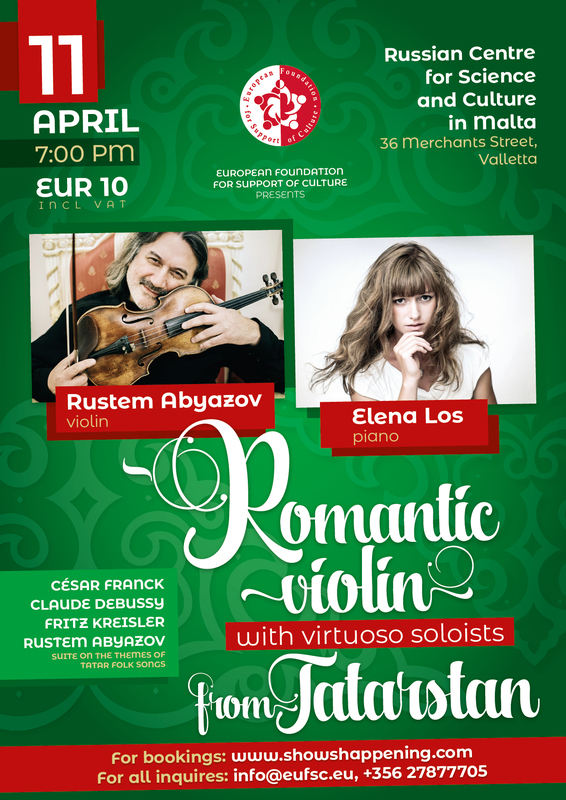 From 8 to 11 April, the European Foundation for Support of Culture would hold “Days of Tatarstan Music in Malta”. Project would include historical and cultural lectures by professors of the leading Russian universities, performances of national dances by Russian ensembles as well as classical music concerts. In the frames of the Days ,on April 11, a concert would be held featuring the creator, permanent artistic director and chief conductor of the Kazan chamber orchestra La Primavera, famous violin player Rustem Abyazov and international piano competitions winner, soloist of the Kazan chamber orchestra La Primavera Elena Los'.